For one evening each year, Downtown Lakewood turns downright chocolatey, and even those with a discerning sweet tooth go home happy. “Charlie Chonka” greets guests arriving for the 8th Annual Lakewood Chocolate Walk. 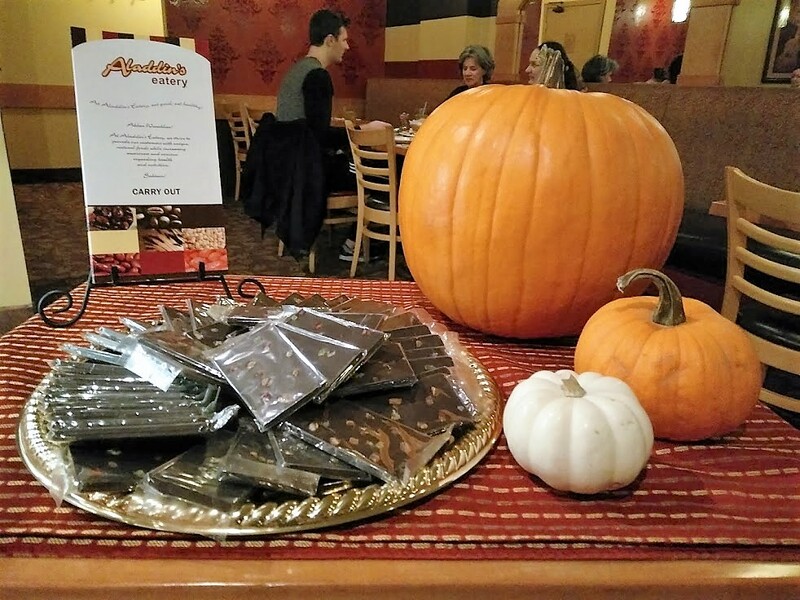 A sellout crowd of 300 attendees from across Northeast Ohio participated in the 8th Annual Lakewood Chocolate Walk last Thursday evening, Oct. 27. In an arrangement that would make the late Gene Wilder of “Willy Wonka” fame flash his trademark smile, a large contingent of chocoholics descended upon Detroit Avenue to visit more than 20 merchants in Downtown Lakewood serving as “Sweet Spots” by each offering a unique chocolate treat. Hosted by LakewoodAlive and the Downtown Lakewood Business Alliance (DLBA), the Chocolate Walk has developed into a highly-anticipated Lakewood tradition. Tickets went on sale to the general public Oct. 1 and sold out within eight hours. The evening kicked off with the Pre-Walk VIP Reception at Fear’s Confections and Ice Cream Joy in Uptown Lakewood, where 50 lucky guests enjoyed collaborative chocolatey concoctions from the neighboring Madison Avenue businesses. These pairings included beer floats with chocolate ice cream and chocolate-covered cherry garnish, and brownies with either caramel coffee ice cream or raspberry white chocolate balsamic ice cream. 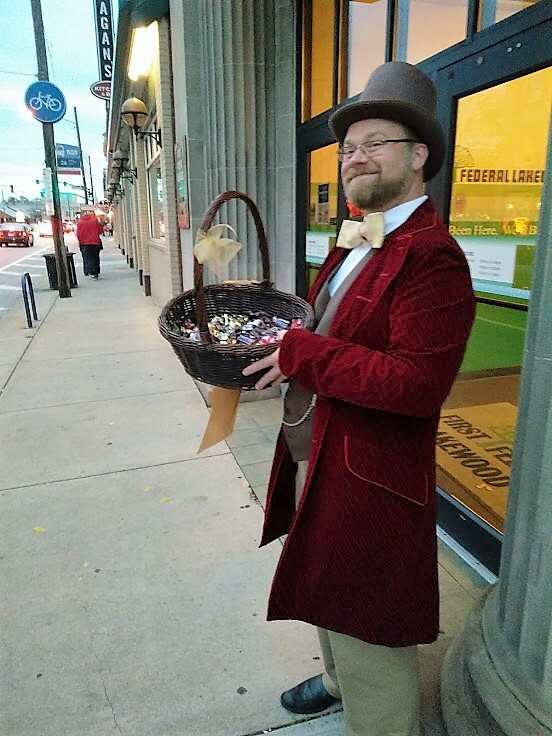 “Welcome to the Lakewood Chocolate Walk, here’s a chocolate appetizer!” stated “Charlie Chonka” – played by volunteer Jim Ptacek – in greeting guests who arrived at First Federal Lakewood to commence the walk. Attendees were furnished with a map of Sweet Spots and ventured out to delight their taste buds by visiting participating merchants. In addition to being rewarded with delectable treats, attendees sought to find 12 hidden golden eggs. Each participating merchant served as a “Sweet Spot” along the Lakewood Chocolate Walk. The evening concluded with the Grand Finale Sundae Bar, hosted by First Federal Lakewood and sponsored by Discount Drug Mart. 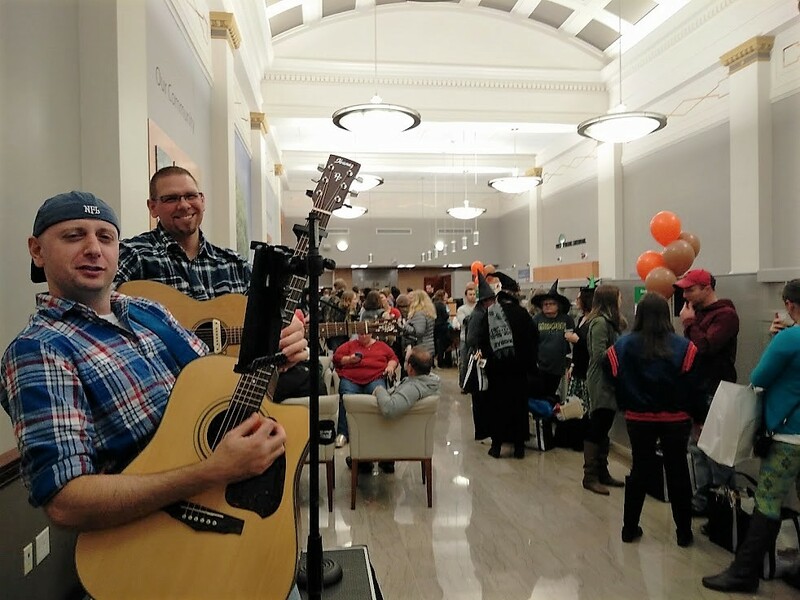 Guests enjoyed music from country duo Tequila Wagon while partaking in one last round of libations and chocolatey treats. Raffle winners were announced and longtime Lakewood resident Jayne Gaydos – who has attended every Chocolate Walk but one and who three years ago achieved a personal goal by recovering from major surgery in time to attend – received a certificate to honor of her dedication to this community event. LakewoodAlive and the DLBA thank the following merchants for their participation in the 8th Annual Lakewood Chocolate Walk: Aladdin’s Eatery, Barton Senior Center, Burgers 2 Beer, Campbell’s Sweets, Cricket Wireless, Cotton, Discount Drug Mart, Edible Arrangements, First Federal Lakewood, Geiger’s, Gianna Jewelers, Lakewood Baptist Church, lion & blue, Melt Bar & Grilled, Paisley Monkey, Pizza BOGO, Plantation Home, Rozi’s Wine House, SouperMarket, The Tea Lab, Tease Hair + Body Parlor, and Voodoo Tuna. Tequila Wagon performed during the Grand Finale at First Federal Lakewood.